The sun was shining brightly on a hot June day in San Dimas, a somewhat distant suburb of L.A. The sophistication of Los Angeles and Hollywood seemed light-years from here. The city was just far enough so as to seem not to exist at all, and kids could still be kids on a warm summer day. School was drawing to a close before summer vacation, graduation was about to fall like a ripe plum into the seniors’ hands, and the prom was only days away. Johnny Peterson was the valedictorian of the senior class, and the star of both the track and the football teams for the past four years. He and Becky Adams had been going out for four years. They were standing on the school steps, talking to a group of friends, his tall lanky body swaying ever so slightly in her direction, as their eyes met from time to time. They shared the same barely guarded secret that many of the kids their age did. They were in love with each other, had been sleeping with each other for the past year, and had been seeing each other exclusively before that for all of their high school years. High school sweethearts, with vague but unspoken plans to wind up together one day. Johnny was about to turn eighteen in July, before starting college. Becky had turned eighteen in May. His dark brown hair shone in the summer sunshine, with copper lights that seemed to be reflected in his dark brown eyes. He was tall, broad-shouldered, and athletic, had great teeth and a perfect smile. He looked the way every young man wished he could as a high school senior, but few do. But more than that, he was a terrific kid, and a nice guy. He had always been a good student, had lots of friends, and had two jobs when he wasn’t playing sports and on weekends. His parents had very little money with three kids to support, and often just managed to get by. But they always did. He would have liked to play pro football and could have, but he had very sensibly decided to go to state college on a scholarship, and study accounting, so he could help his dad. His dad ran a small accounting firm, and had never much liked what he did. But Johnny didn’t seem to mind it, and was a whiz in math. And his excellent computer skills were a huge help too. His mom had been a nurse and had retired years before, to take care of his younger brother and sister, which had turned out to be a full-time job, especially in the past five years. Charlotte, his little sister, had just turned fourteen and was starting high school in the fall. And Bobby, who was nine, was a special child. Becky’s family was not as orderly as Johnny’s. She had four brothers and sisters, and their life had pretty much fallen apart two years before, when her dad died. He was a construction worker, and was killed in a freak accident. It left the family financially desperate and stunned. Becky had two jobs after school, and worked hard. They needed every penny she and her oldest brother could earn. And unlike Johnny, her scholarship hadn’t come through. She was going to work full time at the drugstore all year, and try again for a scholarship next year. And she didn’t really mind. She wasn’t the student Johnny was, and she was relieved to have a break from school. She liked working, loved her two sisters and two brothers, and was happy to help her mom in whatever way she could. They had gotten pitifully little money from her dad’s insurance, and things had been tough for a long time. Johnny was the sweet spot in her life. Her hair was as fair as his was dark, her eyes as blue as the summer sky. She was a pretty girl, and she loved him. She worried a little about his going to college and meeting other girls, but she knew he loved her. Everyone in their class said they were the perfect couple, they were always together, always laughing, talking, joking, happy, and they never seemed to fight. As much as they were boyfriend and girlfriend, they were also best friends. And because of that, Becky had fewer friends than she might have otherwise. She and Johnny spent every minute together they could. They went to class together, and saw each other at night, whenever possible, after sports, homework, and jobs. And they were both so conscientious, their parents no longer complained about how much they saw each other. They were rarely apart. And as they stood at the center of a cluster of high school seniors, everyone was talking about graduation and prom. They had kept it a secret between them, but Johnny had paid for her dress. Without his help, she couldn’t have gone. And she smiled up at him now, four years of love and confidences and secrets between them, and her eyes seemed to light up like fireworks when she looked at him. “I’ve got to get going, you guys. I have to get to work,” Johnny said, smiling at his friends. He worked at a nearby lumber company, taking inventory, sorting stock, and sawing wood. And he made good money for hard work. Becky was already working at the drugstore job that was about to become full time for her, and had just given up her second job waitressing in a coffee shop near school. It was going to be a lot easier for her now working in just one place. Johnny worked for his father on weekends, and the lumber supply company after practice and games. He was going to work for them full time all summer, to make as much money as he could before school. “Come on, Becky,” he tugged at her arm, to pull her away from the girls who were still talking about what they were wearing to the prom that was two days away. For most of them, it was the end of an era, the culmination of a dream. And it was for Becky and Johnny too. But they had had none of the stress and panic of some of the others, wondering who to take as their dates. Their relationship gave them both confidence, and an unusual amount of emotional support. High school had been easier for them because of that. Becky finally managed to tear herself away from their friends, and tossed her long blond hair over her shoulder as she followed Johnny to his car. He was carrying both their backpacks, and threw them easily into the backseat as he glanced at his watch. “Do you want to pick up the kids?” He tried to do that with her as often as he could. He was one of those people who enjoyed helping people out, and often did. “Do you have time?” she asked comfortably. In some ways, they already seemed married, and in their heart of hearts they knew that they would be one day. It was another of the unspoken secrets they shared. They were so close, had grown up together, and sometimes it seemed like they didn’t even need words. “Sure, I’ve got time,” he smiled at her, as she slid into her seat, and turned on the radio. They liked the same music, the same people, the same food. She loved watching him play football, he loved dancing with her, and talking to her for hours on the phone, after work. Most nights, he dropped by her house on his way home. And then he’d call her when he finished his homework. His mother said they were like Siamese twins. The school where her younger siblings went was only four blocks away, and all four of them were hanging out in the schoolyard when they got there and Becky waved. The four Adams kids came thundering toward them, and as Becky leaned forward to let them in, they piled unceremoniously into the back of the car. t her dad, and couldn’t bear the thought of going out with another man. They had been high school sweethearts too. Johnny dropped off Becky and the kids, she kissed him lightly before she got out, and he waved at all of them as he drove away. And as he disappeared down the street at full speed, she shepherded the others into the house, and helped them to get snacks and drinks, before leaving for work. She knew her mom would be home from her job in two hours. She ran the local beauty school. She was a pretty woman, life just hadn’t turned out the way she’d dreamed. She had never expected to wind up alone at forty, with five kids. Johnny was back at Becky’s front door again four hours later, looking tired and happy. He stayed long enough to eat a sandwich with her at the kitchen table, chat with her mom, tease the kids, and head home by nine-thirty. His days were long and full. “I can’t believe it’s almost graduation, seems like just last year you two were about five years old and going trick-or-treating together.” Pam Adams shook her head and smiled as she watched Johnny unwind his long frame from the kitchen chair. He had played basketball in his freshman year, and been good at it, but eventually football and track had taken up all his time. Pam looked at Johnny gratefully, he was such a nice kid. She hoped he and Becky would get married one day, and that he would live a longer life than her husband had. But the years she’d shared with Mike had been so very good, she didn’t regret an instant of them, just the fact that he was gone. “Thank you for getting Becky’s dress for her,” she said softly. She was the only one who knew. He hadn’t even told his mom and dad. “It looks great on her,” Johnny said easily, slightly embarrassed by the look of gratitude in her mother’s eyes. “We’ll have a good time.” He had ordered a corsage for her too. “I hope so. Becky’s dad and I got engaged at senior prom.” She said it nostalgically, but it wasn’t a hint to him. It was pretty obvious that they were heading that way too, with or without a ring. “See you tomorrow,” Johnny said as he left, and Becky followed him outside. They stood next to his car for a few minutes, chatting, and he took her in his arms and they kissed. It was a kiss filled with passion, emotion, all the feelings they shared, and the energy of youth, and she was breathless when they stopped. “You’d better go before I drag you into the bushes, Johnny Peterson,” she said with a giggle, and the smile that still tore his heart out after all these years. “That sounds pretty good. Your mom might get a little upset,” he teased. None of their parents knew, or so they thought, how far things had gone, although unbeknownst to them, both their mothers were well aware of it. Pam had had a talk with Becky once, and urged her to be careful. But they both were. They were both sensible kids and, so far at least, had had no slip-ups and no scares. Becky had no intention of getting pregnant before they got married, and that was still years away. Johnny had to finish school, and so did she, and she wasn’t even starting for another year. They were in no hurry, they had all the time in the world. “I’ll call you later,” he promised, as he got into his car. He knew his mother would be waiting for him, most likely with something to eat, even though he’d eaten at Becky’s house. And with no homework to do, he might spend some time with the kids and his dad. Depending on how things were when he got home. He lived only two miles from Becky’s house, and he was home five minutes later. He parked in the driveway behind his dad’s car, and as he walked through the backyard he saw his younger sister Charlotte shooting baskets by herself, the way he used to do. She looked just like their mother, and a little like Becky, with big blue eyes and long blond hair. She was wearing shorts and a tank top, and her legs were nearly as long as his. She was tall for her age, and beautiful, but she didn’t really care. The only thing that interested Charlotte was sports. She ate, slept, dreamed, and talked about nothing but baseball in the summer, football and basketball in the winter, and she played on every team she could. 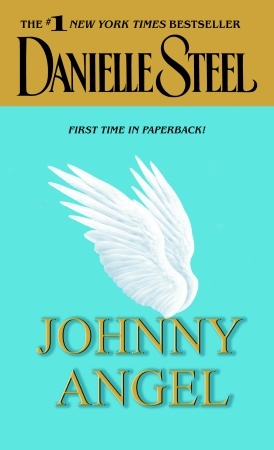 She was the most perfect all-around athlete, male or female, Johnny had ever known. “Hi Charlie, how’s it going?” he said, as he caught the ball she tossed at him. It always made him smile because she threw like a guy. She had a remarkable talent for sports. “Okay,” she glanced over her shoulder at him after he threw the ball back to her, and she sank another basket. And he could see, when she looked at him, that her eyes were sad. “What’s up?” He put an arm around her, and she stopped for a minute, and leaned against him. He could feel the sadness emanating through her. In the last few years, she seemed older than she was, in part because she was tall. But she was also wise beyond her years. “Is Dad home?” But he knew he was, by the car. Johnny knew what was bothering her. It wasn’t new to either of them, but it still hurt, after all these years. “Yeah.” She nodded, and then started to dribble the ball, as Johnny watched her for a minute, and then grabbed the ball from her. They played together for a few minutes, taking turns sinking baskets, and it struck him again how good she was. It was a shame in some ways that she wasn’t a boy. And he knew she thought so too. She had gone to almost every game he’d played through all his high school years, and rooted passionately for him. Johnny was exactly who she wished she could be. He was her hero, more than anyone on earth. 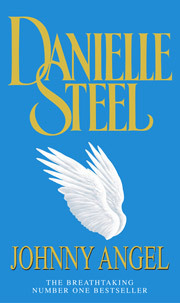 Johnny Angel by Danielle Steel Copyright © 2003 by Danielle Steel. Excerpted by permission of Dell, a division of Random House, Inc. All rights reserved. No part of this excerpt may be reproduced or reprinted without permission in writing from the publisher.